Are you one of the lucky ones who receives a refund on your taxes? If so, follow these steps to ensure smooth processing of your 2017 tax return. 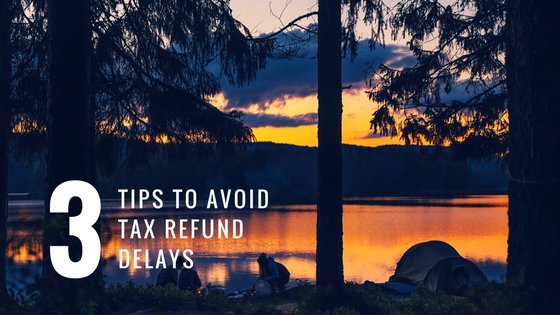 Top three things you should know to avoid tax refund delays. Typically, these forms are available either by mail or online in January. You should check them over carefully, and if you discover an error, contact the payer right away for a correction. Make sure all your business records are accurate and up-to-date. Reconcile all accounts for 2017 and ensure that all charges and income are accurately reflected. You’ll want to create an accurate Profit and Loss statement to make tax preparation easier and quicker. 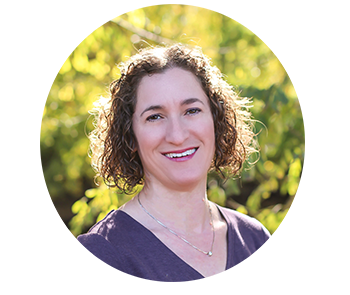 If you have an S-corp, you’ll also need a balance sheet and a liabilities report. Plus, you’ll need salaries for all owners. This information should be in your books. Create a mileage report for easy reporting on your taxes. Gather the date, cost and other information for any large business purposes for depreciation deductions. This includes new equipment purchased. I usually say anything over $100-$150 should be depreciated and is considered an asset for your business. Do you have a home office deduction? Make sure you know the size of the office space and the size of your home. Electronically filing a tax return is the most accurate way to prepare and file. Errors delay refunds and the easiest way to avoid them is to e-file. Plus, when you e-file you can receive direct deposit of your refund which is the fastest way to receive your refund. With direct deposit, your refund goes directly into your bank account. It will be a happy surprise when you see that bump in your bank account, right??! Tax professional such as a CPA or EA. Free e-file with the IRS. Please take note that the IRS cannot by law issue refunds for people claiming the Earned Income Tax Credit or Additional Child Tax Credit before mid-February. This law helps make sure that taxpayers receive the refund they’re due by giving the IRS more time to detect and prevent fraud. The IRS expects the earliest refunds related these credits to be available in your bank account starting on Feb. 27, 2018, if the taxpayer uses direct deposit and there are no other issues with the tax return. This additional period is due to several factors, including the Presidents Day holiday and banking and financial systems needing time to process deposits. Check on your refund status here at Where’s My Refund or use the IRS mobile app, IRS2Go, for your personalized refund status. File early. Once you have all your documents ready for filing, don’t delay. What are you waiting for? These new rules are for fraud prevention as it has become prevalent with e-filing. If you prepare and file your own taxes electronically, you must sign and validate your electronic tax return by entering your prior-year AGI, so make sure to have that handy. Some taxpayers using a software product for the first time may need to provide their 2016 Adjusted Gross Income, or AGI, to e-file their 2017 tax return. This is for your protection to prevent fraud. Your AGI is on line 37 of the Form 1040; line 21 on the Form 1040-A or line 4 on the Form 1040-EZ. Should you e-file and get a rejection notice. Make sure to understand the code. If the code indicates your social security number has already been used, you will need to file an identity theft affidavit. This is one reason I highly recommended filing as early as possible. It helps prevent fraud and gets you your refund quicker.